Microsoft has flipped the switch on Skype Translator Preview, bringing nearly real-time translation to invitees on Windows 8.1. 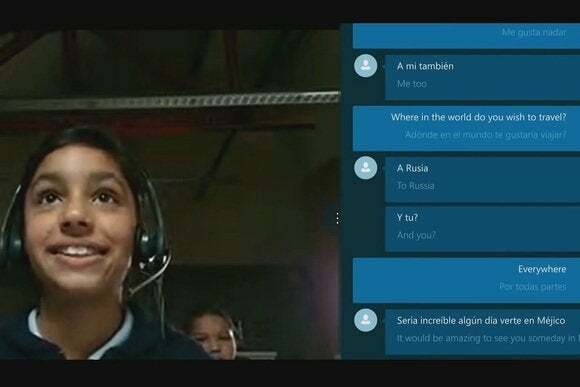 Skype Translator lets users have live voice conversations across different languages. When one users speaks, a computerized voice delivers the translation to the other user. A transcription also appears in a sidebar next to the main video chat window. 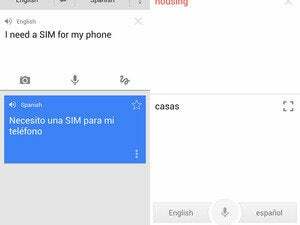 For now, the Preview is limited to English and Spanish for voice transcription, though it supports IM conversations in more than 40 languages. It also requires a PC running either Windows 8.1 or the Windows 10 Technical Preview, and requires an invitation; you can get on the list through Microsoft's Skype Translator Website. Microsoft says it's spent 10 years researching the technology, which relies on machine learning to tell the difference between words like “they're” and “their,” and to eliminate fillers like “um” that come up in natural conversation. During the preview phase, Microsoft will further refine the translations, drawing on feedback from users and input from human transcribers. It's unclear what languages Microsoft plans to support next, or when Skype Translator will become more broadly available. Microsoft also hasn't said what the business model for Skype Translator will be. Why this matters: Having a computer translate conversation on the fly has been the stuff of sci-fi for years, but it's notoriously difficult to pull off due to the stutters, pauses, slurring and slang that often come up in natural speech. Even if Microsoft hasn't completely solved those issues, the fact that it's released a working beta is a big milestone.